20 Years Of Austin.pm, 31 Years Of Perl! This is a 2-day event, on 2 consecutive Saturdays! 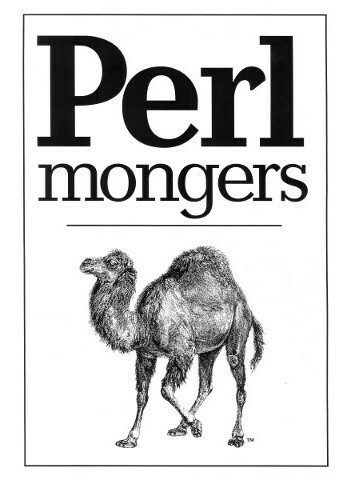 We will break into teams and work on a number of goals related to Perl education and the Cloud. Friends & family are invited! Join Us On Facebook Group! 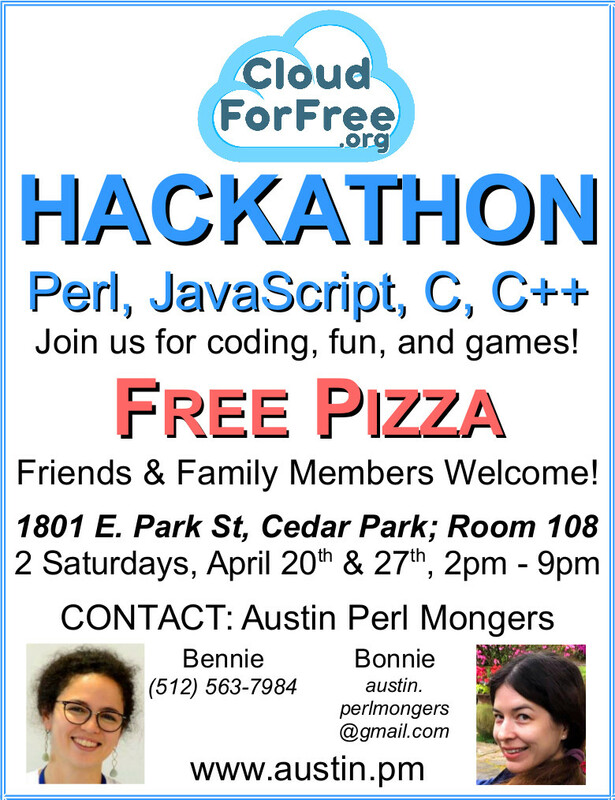 Copyright © 1998-2019 Austin Perl Mongers. 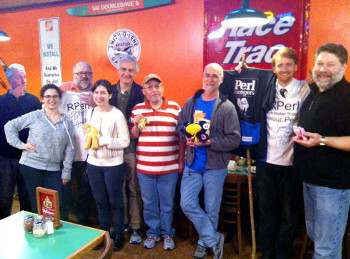 The onion logo is a trademark of The Perl Foundation, of which Perl Mongers is a part. Used with permission.